Fights, fraud and drugs racketeering regularly hit the headlines, but they are just news stories for most of us. For others, they constitute a way of life. 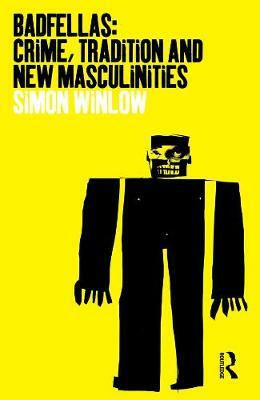 This book uncovers a world where male identity is expressed each day through physical strength and power. Focusing on professional criminals and violent men, the author shows how workshop camaraderie, hard physical work and criminal reputations allow for changing masculinities. It is all too easy to stereotype criminals, when, in fact, their world is complex and creative. Criminal men adapt and modify their forms of gender expression to fit in with their changing economic, social and cultural circumstance, as do men in all walks of life. Why is violence attractive to these men? What motivates their crimes, both planned and impulsive? How do criminals themselves view their activities and their reputations, and how do these reputations affect their perception of masculinity? This book is the first sustained analysis of organized crime and violence to use covert research methods. Far from the sensationalized memoirs of retired gangsters, or the abstract discussions of scholars, this book builds on first-hand experiences and relationships made while working amongst bouncers and criminals. The social world of professional criminals and the working environments of criminal bouncers are demystified and laid bare. The author sets individual criminal careers and experiences in the wider context of de-industrialization and globalization, and provides a thoughtful and stimulating addition to the fields of anthropology, sociology and criminology.